Home » SEO » 11+ Best, Free & Pro LSI Keyword Research Tools to Rank Higher in Search Pages! 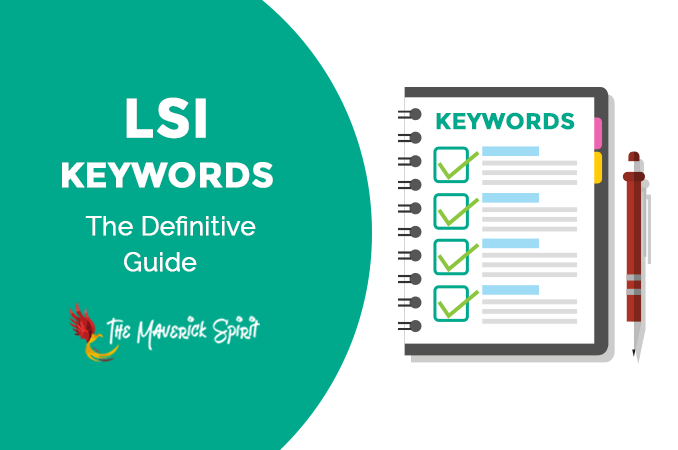 Today I’ll be sharing some best and free LSI keyword research tools to rank higher in Google searches. As I have discussed in my last article how long tail keywords help you to improve your web ranking and traffic. So, I am assuming that you are aware of the importance of using Latent Semantic Indexing keywords in your content! 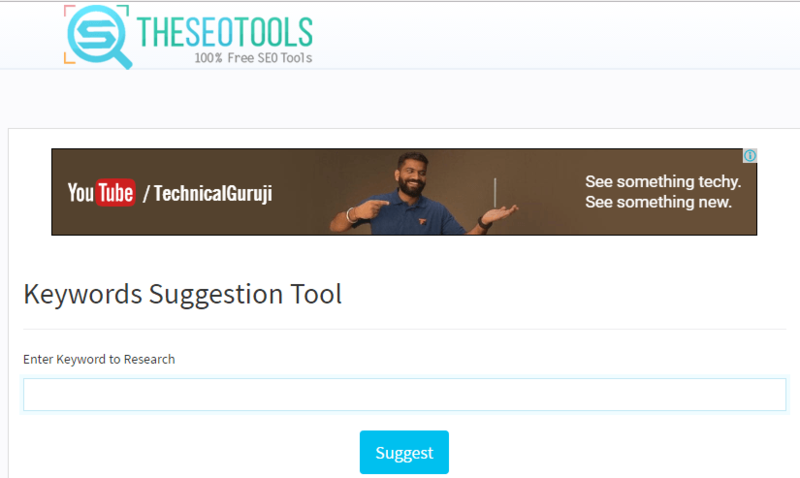 Without talking much about LSI again I am heading towards..
..the list of some tools where you can find good and right keywords for your blog post. Long Tail pro has evolved into the ultimate SEO research tool in the market with time. If you want to flood your website with a massive amount of free and profitable traffic you need to have a keyword that customers are searching for and ready to buy! Probably to accomplish it you need long tail keywords which make up over 70% of all search engine traffic. Long tail pro was developed in 2011 the tool is proven to be a powerful keyword competitive research tool. What does the tool provide? 1. Rapidly generates hundreds of keywords options with seed keywords. 2. By adding domain you can find out what level of keyword difficulty you should target. 3. You can perform deep competitive analysis with detailed metrics on every search results. 4. Brand new Rank Value feature helps you to understand Keyword Profitability. The monthly starter plan for is $37. Long tail pro provides 7 Days Free Trial. 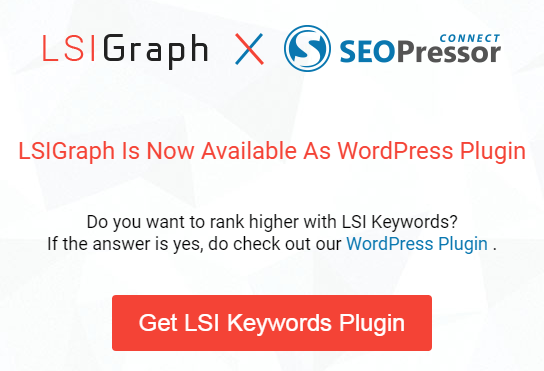 Starting from providing LSI keywords, SEOPressor is all grown to a complete SEO WordPress plugin which is now known as SEOPressor Connect. First of all, the tool gathers all the essential data for your website to optimize. So, if you are worried about not optimizing your website the way Google wants it? ..seems like the system emulates the way Google ranks a website for you! Secondly, to check whether your website is ready for the semantic web as the internet is moving..
..the tool has developed semantic builder to get things done. SEOPressor LSI keywords engine delivers unlimited LSI keywords. 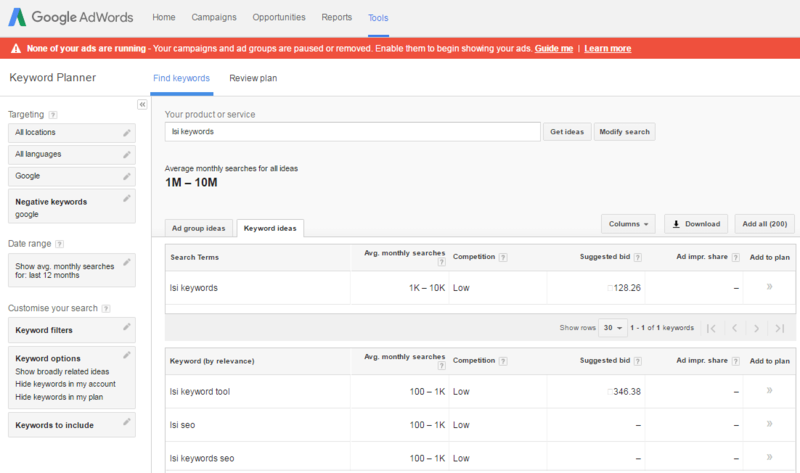 Find the right keywords to target for display ads, search ads, video ads, and app using Google Adwords Keyword Planner. The tool allows you can search and find new keywords in addition to displaying search volume data using a phrase, website or category. This tool is designed by keeping advertisers in mind. Helps many bloggers to find out the compatible data and search queries for the primary keyword. 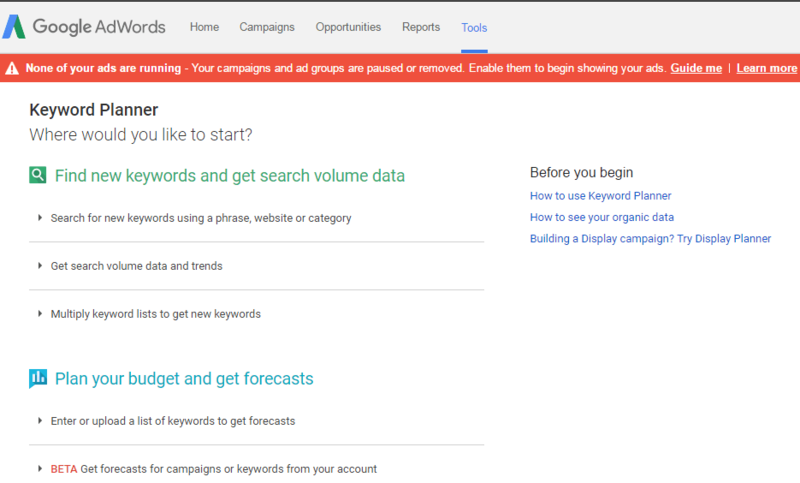 You need to have a Google AdWords account to use the tool. There are many ways to use the tool and to get the maximum out of it but here I will just share the basic step that will bring out consistent results immediately. Type in the product or service name in the search bar. Select the targeting locations and languages if any. You can customize your search by adding keyword filters. Once you are done hit the “Get Ideas” button. Furthermore, the result displays Ad Group ideas and Keyword ideas along with average monthly searches, competition, and suggested bid. Further, you can download the ideas as Excel CSV or AdWords Editor CSV or save it directly to your Google Drive! One of the famous keyword research tool used by many industries. Keyword Tool is known as number one Free alternative to Google Keyword Planner. It generates long tail keywords from Google, YouTube, Bing Ads, Amazon, Google Suggest, and App store. However, the tool provides PRO version optimized for Google and YouTube as well. The Pro version open ups feature like – Search Volume, Competition Level Or Cost-Per-Click Data. One thing that Google Keyword Planner doesn’t include are auto search keywords. 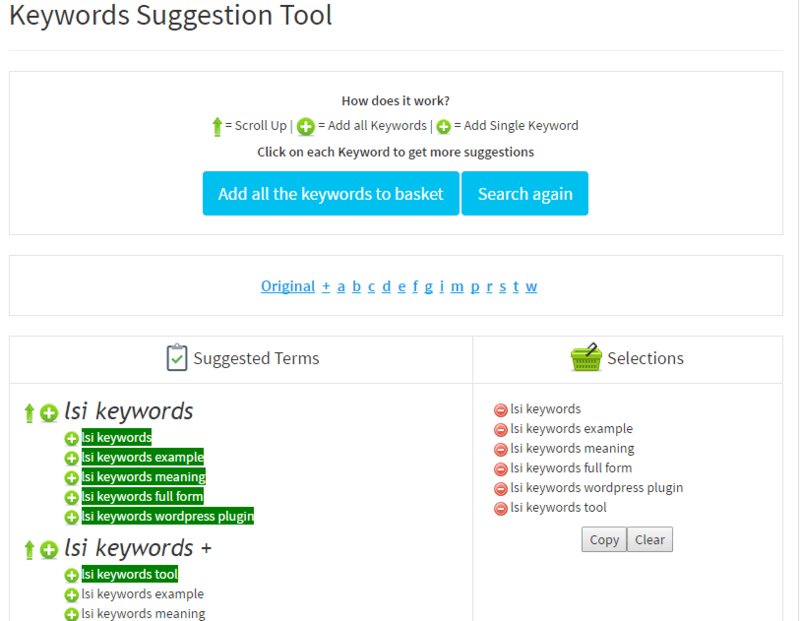 Whereas, these popular and relevant keywords are extracted by keywordtool.io. In the Free version, only 10 autocomplete keyword suggestions are included whereas, 20 keywords are covered in the Pro version of the tool. Type in the name of search term in address bar. Select the desired search engine, domain, and language. Hit search. The results displayed in two categories – Keyword Suggestions and other is Questions. You can further filter out the results by providing negative words which limit to 5 in Free version (you can add more than 2,000 negative keywords in Pro version) and target words to search within the keyword list. 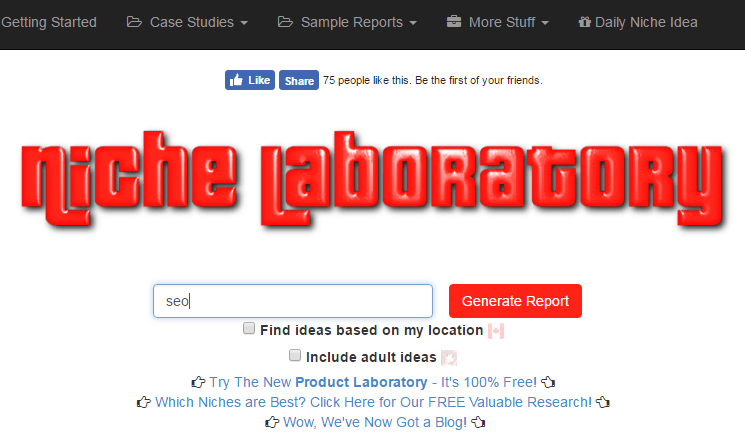 Niche Laboratory is another free online keyword research tool that generates topics and niches for your main keyword. discussion forums, related news stories from Google news, raw data etc. While the tool provides varied results I felt the results contains so many ambiguous words. Seems like you need to search a needle from the bunch of straw! 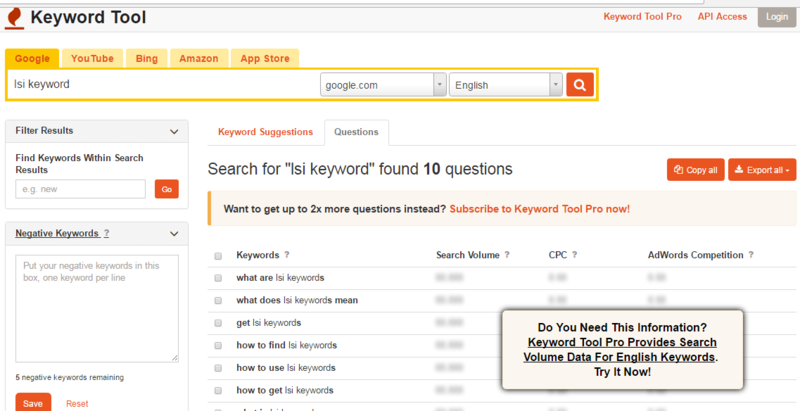 Simply type your keyword into the search box. After a few minutes, the site generates a report with a lot of useful information. You are all set to use the report for your content, micro-niche site, etc. 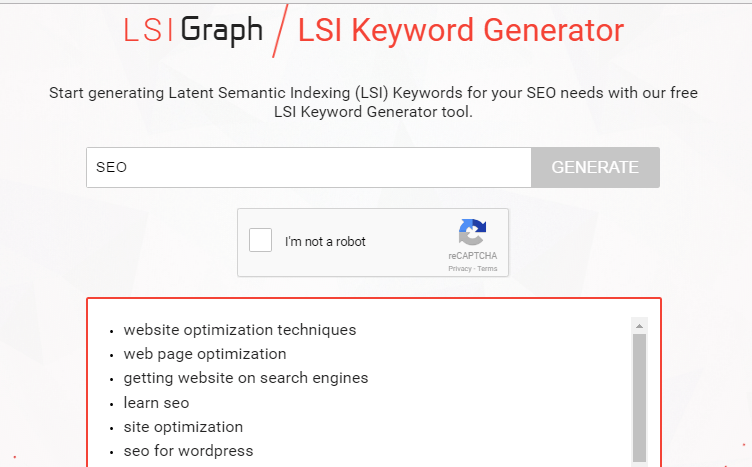 LSI Graph is a popular and free tool for generating similar keywords. In addition, the tool is used and preferred by many of the top bloggers in the industry today! The latest news about the tool is – It is now available as a WordPress Plugin! Type the name of the keyword in the text field. Verify the Captcha and it’s all DONE! You get a huge list depending upon how popular the target keyword is. So, pick the best and start stuffing in your article. 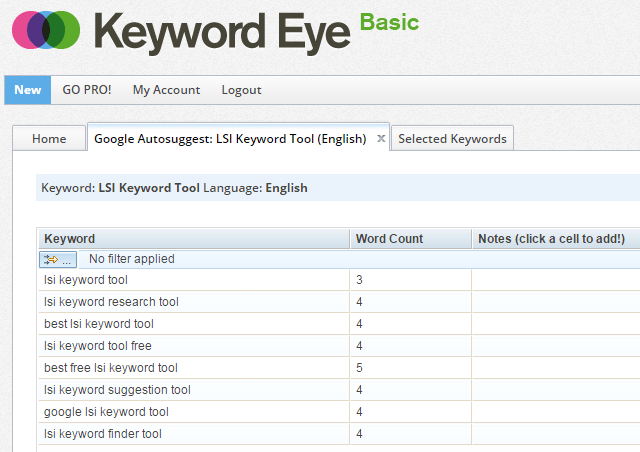 A great LSI keyword finder tool trusted by more than 50,000 users. Provide features like Keyword research, Competitor research, Youtube, Amazon, and Google Auto Suggestions. How to use Keyword Eye? Alright so before you decide to get a pro account why not try the free version? Get satisfied whether the tool provides you enough details that you are looking for! On the homepage of the website head over to the pricing tab and click on choose your plan button. Click on Keyword Eye Membership tab. A form pops up. Fill it out. Make sure you avoid spaces, dashes and special characters while filling username. Head over to your mail to click the confirmation link. You are all set to use the dashboard now. Go to the New tab and type in your Keyword to get the results. The tool gives you freedom to choose a specific platform like Google, YouTube, Amazon etc. You can even add filters for more detailed analysis. Along with you get a 2 Week Free Trial of SEMRush Tools! Keep exploring the tool now to get most out of it! Take your keyword research to an entire new level using this absolutely Free UberSuggest tool. UberSuggest generates tons of keyword ideas for specific spaces like web, images, Shopping, YouTube, and News. Moreover, the tool assists you to filter the target keyword in particular countries. In addition to this, Uber Suggest introduces Keyword Everywhere chrome extension which generates keyword volume, CPC and competition data. Export keyword data using the “Favorite” option. Allows you to add all keywords in content through “Adds all Keywords” option. Analyze 10,000 LSI keywords at a time if you select “Bulk” option. As the name suggests, Google Trends gives you a set of keywords analyzed over 5 years. Explore the phrases in various categories and distinct countries. Simply type the search term in the explore bar and select the desired category and target country. Consequently, you can now see the interest over time and by region for the past 5 years. Seems like the tool is really very helpful for every blogger to decide important aspects like whether or not to publish a blog post for a target keyword after knowing..
..it’s popularity in the market, regions to promote, and queries to cover. Ultimate keyword hunter is a powerful yet simple and absolutely Free tool to find relevant words and phrases. Most of all this LSI keyword software tool is downloadable. Probably it has got some basic system requirement which I think is not a matter to worry about. Find keywords based on Google’s top sites. Compose a list of target websites to analyze, stop words, words count. Import/Export keyword list from CSV file. Enter the target keyword or phrase in the text bar furthermore you can add word count, site count, search engine and domain information. From the list of resultant keywords, you can limit the number of websites and adjust stop words to refine the results more precisely. Perform latent semantic analysis on terms and phrases to rank high in search engine rankings. Choose from 2 words, 3 words, etc. to get more suitable data. “Preview” option lets you create a content based on your search terms. So, as you create and cover a specific keyword it gets a strikethrough on the right-hand side. In addition to this, it keeps track of the occurrences and keyword density. This SEO tool is also known as a keyword suggestion tool. As many website owners and SEO experts invest heavily on keyword SEO services..
..this tool produces the best and most searched keywords from target engines such as Google, Yahoo, and Bing. How to use Keyword Suggestion Tool? Attract more traffic by ranking your page higher in search engines in just few clicks. Enter the keyword to research in the text field and hit Suggest. The results are sorted alphabetically. Moreover, you can add all keywords to your basket or perform selection to use in the title tag, meta description, and content easily by clicking on the + icon. 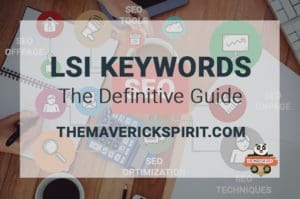 I hope the above list helps you to find the right and best LSI(Latent Semantic Indexing) keyword research tool for your website. Do share your experience with the chosen tool as well as let me know if you discover any new keyword tool or website meantime. LSI Keywords – How to Find & Implement Smartly for SEO DoFollow and NoFollow Links – What Are and How They Affect SEO? Thanks for providing such a piece of information.